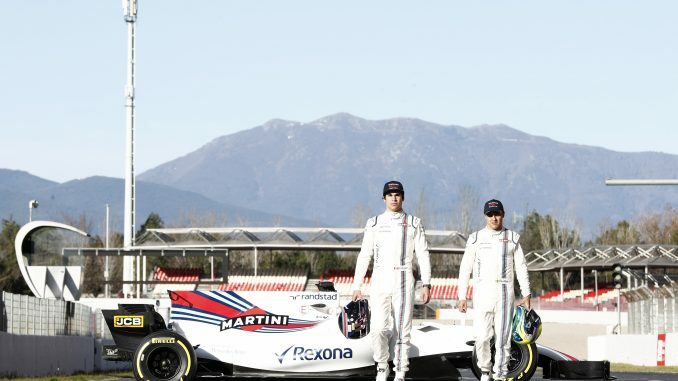 HomeNewsWhy haven’t Williams picked a driver yet? Robert Kubica has been the favourite to secure the vacant race seat at Williams since it was first suggested Felipe Massa may not return in 2018. With the Brazilian’s retirement confirmed and several tests completed for the Pole, the team still hasn’t made an announcement. 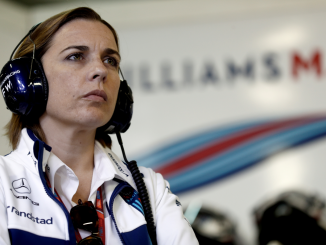 So why are Williams waiting? Last week’s Abu Dhabi tyre test was Kubica’s first chance to test the 2017 spec Williams, having done two private tests in order cars for the team earlier in the year. The 2008 Canadian Grand Prix winner posted a faster time than Lance Stroll and Sergey Sirotkin over the two-day test, as well as covering over twice the race distance of the Abu Dhabi Grand Prix, which points to his arm being strong enough to get through a race weekend. Between testing for Renault in Hungary and getting in the Williams last week, Kubica is said to have been on a gruelling training regime in a bid to make to most of what strength and movement he has in his surgically-repaired arm. Paul Di Resta didn’t take part in the tyre test, with Williams having seemingly gathered all the information they could possibly need about the former Force India racer, who has been their reserve driver for the last two years. His pace at the Hungarian Grand Prix led to him being linked with a return to the F1 grid full time, but as talk of Kubica’s return has gathered pace, hype around the Scot’s comeback has quietened. Sirotkin was, publically at least, a late addition to the Williams test. He parted company with Renault shortly before the Abu Dhabi Grand Prix, resulting in him being added to Williams’ lineup. Sirotkin had tested alongside Kubica for Renault at Valencia earlier in the season, when the Russian was reportedly off his more-experienced colleague’s pace. However, since being linked with the Williams role, Renault’s Alan Permane and Cyril Abiteboul have been among those insisting the former GP2 star deserves a shot in F1, while Nico Hulkenberg and even Kubica praised his talents. Sirotkin would make an excellent choice for reserve driver if Di Resta isn’t able to continue that role, either because he’s in the car or chooses to move on. However, Sirotkin was impressive on the second day of the Abu Dhabi test, finishing the day less than 0.5 seconds slower than Kubica’s best lap, resulting in some reports claiming he’s now seriously being considered for the drive. Kubica’s fastest lap came on the new hypersoft tyre, while Sirotkin was using the slower soft tyre, which makes his performance even more remarkable. Kubica and Di Resta have both been thoroughly evaluated by now, but Sirotkin has only had one day with the team, which could mean they have more work to do to determine if he could really be good enough. One sticking point for Sirotkin could be his age. At 22, he isn’t old enough to do promotional work for the team’s main sponsor Martini. On top of that, alcohol advertising in Sirotkin’s native Russia is strictly regulated, with no television or billboard advertising allowed. After Valtteri Bottas’s late switch to Mercedes last year, Williams admitted finding a driver over the age of 25 who was available at short notice was a struggle, which led to Massa cancelling his retirement plans. However, Paddy Lower has insisted they could find a way around the situation, and that it’s important they have the best lineup for racing, not advertising. This could see Di Resta continuing as the reserve driver and acting as brand ambassador for Martini. Two other names linked with the vacancy are Pascal Wehrlein and Daniil Kvyat. Both are really a longshot at this point, as neither have driven for Williams and both are under 25. Wehrlein would be the more attractive of the two options – his links with Mercedes mean he should adapt well to driving the Williams despite not having tested in it, and he outperformed teammate Marcus Ericsson at Sauber throughout 2017. Testing Wehrlein in advance wasn’t really an option for Williams as he was still part of the Sauber set-up until last week. Kvyat would have been available to test in Abu Dhabi though, and the fact that he didn’t seems to point to him not being in the running at all following his unceremonious ousting from Toro Rosso. The 2017 season may have only just finished, but time isn’t on Williams’ side here. Every other seat is already confirmed, and 12 weeks today pre-season testing will have already started. Whether they pick Kubica, Sirotkin, Di Resta or another driver, the chosen one will need time to get used to the team and be physically prepared for the season, while those who miss out will appreciate having time to make other arrangements for 2018 while there are still openings in other series. 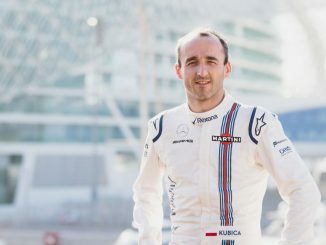 Kubica turns 33 on Thursday, securing the Williams race seat would be the ultimate birthday present.